In the excitement over the search for a new home, home buyers do not think about their credit scores often enough. Once the perfect home is found and a lender is approached, the need for good credit is easy to think about, but by that time it might be much more difficult to solve credit problems that keep a buyer from getting the best interest rate on a home mortgage. One reason home buyers don’t think about their credit score before looking for a new home is they mistakenly believe that their income and assets are all they need to qualify for a mortgage loan and good interest rates. Unfortunately, that is untrue. Low credit scores can keep borrowers of all income levels regardless of existing home equity or other assets from obtaining the best interest rates. Mortgage guidelines specifically require particular FICO scores in order to obtain any home loan, and the status of the FICO credit score determines the rate of interest on that loan. Along with a pre-determined level of credit, potential home buyers must also have at least three open credit lines with 12 months or more of use and prompt, on-time payments. If there are any problems with your credit report, the moment you are applying for a home mortgage is not the time to find out about it. It is an even worse time to find that you are a victim of identity theft. All of these issues will keep you from obtaining a loan, and the time to discover you are unable to get the money you need to purchase your desired home is not after you have made an offer, provided a good faith down payment and moved into a contract. If you can’t provide the loan to obtain the home, you may end up losing your deposit and the home. The best time to review your financial situation and discover any problem you need to fix is well before you make an offer on a home. 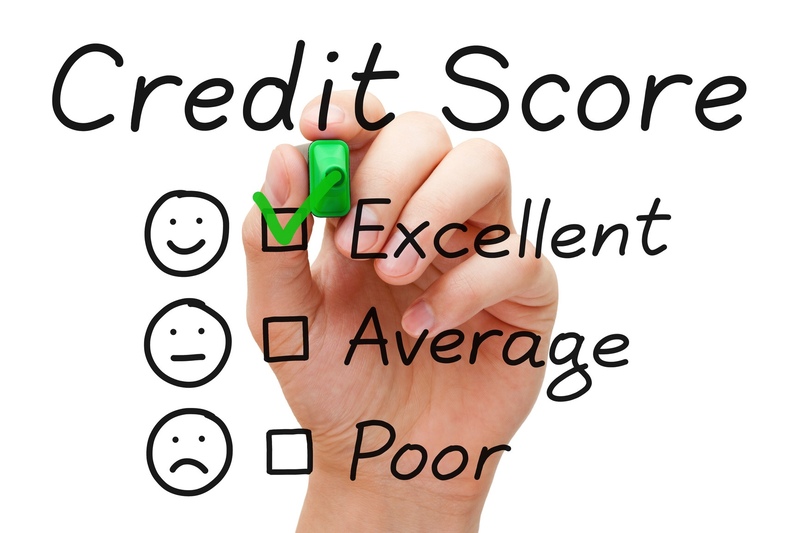 Even if you know that your credit history is good based on your own records such as payment information, long-term accounts held and no difficulties that caused late payments or other problems, you should still check your rating on a regular basis. If you are considering a new home purchase, pull your credit report about 90 days before applying for a home loan. This will give you enough time to solve issues you were unaware of and straighten out any incorrect information on your report. If you know you have had a few struggles over the past year, and there may be some light problems showing up such as a late payment or two, pull your credit report at least 1 year prior to looking for a new loan. A 12 month period will give you enough time to get a few new accounts if needed, make a year’s worth of regular payments or other things you will need to do in order to re-establish excellent credit scores. When pulling your credit history, experts suggest getting one from each of the three main agencies. There are many more, but the “big 3” as they’re known, are Equifax, TransUnion and Experian. These are the agencies used to create your FICO score, and the ones banks and other lenders will use to determine your credit worthiness. FICO is an immediate credit assessment based on the information from these three credit reporting agencies the moment a lender pulls your report. Your average credit score uses the three ratings given by the big 3 agencies, but the FICO isn’t an average of those 3 scores. Instead it is the middle score regardless of which agency gives that score. That means when a lender pulls your credit scores, if they are 620, 710 and 750, your FICO will be 710 no matter which agencies give what score. If your scores were 620, 680 and 680 your FICO will be 680. Another important FICO fact you should know is that if you are applying for a loan with a spouse or other co-borrower, the mortgage lender will use the middle score of the LOWER applicant’s credit score. So if you have scores of 620, 710 and 750, but your spouse has a credit history of 580, 590 and 610, your FICO score will be 590. The reason all three agencies have different scores, even though they are all considered the main reporting agencies is that each will have slightly different information. Perhaps one creditor reported to two of the three, and not the third, or any number of little inconsistencies that make an average of the three a more accurate overview of your real credit ability. The above shows that the amount of debit you carry and the way you pay it is the most important overall element in determining your FICO score. That means when you are thinking about obtaining a mortgage you should make sure those areas are as strong as possible. If you happen to find errors on your report make sure to report them immediately. This is easiest if you have kept up with your credit ratings and checked for problems regularly. Contact the credit agency with the error and report any problems. The Fair Credit Act requires any credit reporting agency to be responsible for the information they obtain and demands that they correct incorrect information or areas that are incomplete. All three major reporting agencies allow errors to be managed online. Make sure you report to all of the agencies that show an error, not just one of them. The three agencies do not share information with each other, or clean up errors on other reports. If necessary, send in supporting documents to show reason for disputing a claim on your report. By law, all of the credit agencies must investigate any report of a problem that is not frivolous. When sending in any information, always send copies, not originals. The credit bureau will send you a notification within 45 days reporting the results of the inquiry. Once a dispute is solved, make sure you order a new report to show that it is taken care of.